Beaded versions of all nymphs, in black, copper or other variants, from tungsten to glass, to suit water and light. New Zealand has some wonderful local patterns that all visitors should try. The Jessie series is perhaps the best known, created by Kakahi postmaster Basil Humphries, who fished the North Island’s Whakapapa River in its unmodified glory days. Urging local anglers to study native insects, Humphries argued that New Zealand deserved its own original patterns and didn’t need to blindly follow European or American angling traditions. He created the Twilight Beauty, the Kakahi Queen, and the Jessie. 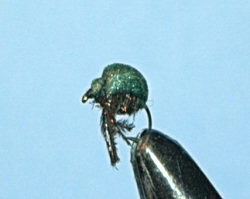 The last was named after Jessie Freeman, a local girl who was one of the keenest bug collectors for the Humphrey fly-tying group. 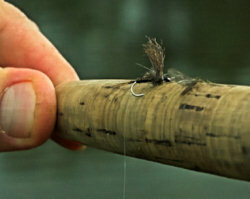 This was the birth of the true first New Zealand trout flies. If there were a Smithsonian for New Zealand fly fishing culture, surely this would be a main exhibit of a turning point in autochthonous expression. Sadly, the Whakapapa, whose name in Maori means legacy or inheritance, has been tapped for a hydroelectric system, another supposed example of “renewable” energy. 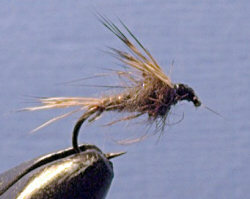 Other kiwi patterns: the Hare and Copper. 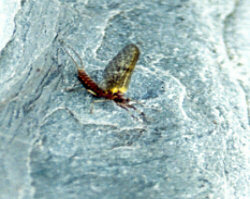 A fine local imitation of darting mayfly nymphs Nesameletus and Oniscigaster, which live in faster, colder sections and headwaters. Norman Marsh, author of the magisterial Trout Stream Insects of New Zealand, developed many splendid patterns like the Grey Darter, another swimming headwater mayfly imitation, the Stub-Wing Special, an aborted dun pattern, and others. If you acquire only one book on Kiwi fly tying, this should be it. 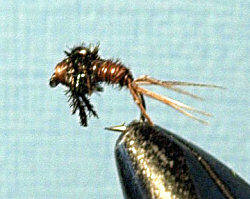 The First Choice, a Kiwi version of a Klinkhammer, is an upright emerger or cripple pattern that works well, as do simple CDC emerger patterns. 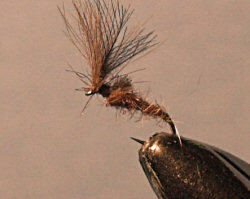 The best known local dun pattern is the Dad’s Favorite. #14 Dad's Favorite variant (for Deleatidium myzobranchia) with a #16 Deleatidium vernale.